Planning to survive in the event of a crisis is something that all citizens should do. You don’t have to have loads of money in order to start putting a survivalist plan in motion. In fact, when a crisis hits, studies have shown that it’s often those with less income that fare the worst. You can start your survivalist planning by making small purchases now. What you want to do is to start making what’s called short term packs. 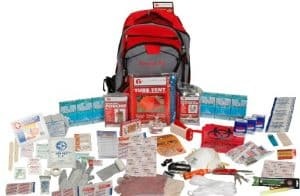 These are items that you must have on hand that are essential for survival. Add to these supplies as you go along and in the long run, you’ll end up saving money. Self-sufficiency is a skill that always pays back in full those who utilize it. People that have food in storage and people that can live off the land – these are the people who don’t have to worry when disasters hit because they know their basics needs are going to be met. In your packs, you’re going to want to have food that will keep. Nutrition bars, canned meats, canned fruits and vegetables are foods that will keep for years if you store them properly. You can also start a garden and grow your own fruits and vegetables. This way, you’ll be able to can the food you grow and stock up that way, too. You can even store some meat for the long haul. Put together enough water for everyone in your family. You should have a gallon of water set aside for each person for each day that it will be needed. Water will also keep in storage. You’ll also want to have on hand some water purification tablets. Have the medication that’s needed for each family member. Whenever a natural disaster hits, pharmacies and doctor’s offices are also closed and you won’t have access to medicine if you run out, so make sure you keep a three month supply of the medicine. You can do this through a mail order pharmacy that will give you three months’ worth of a prescription at once. You’re going to use them anyway, so having them on hand for a disaster is just smart preparation. Stock up on baby supplies like diapers, baby wipes, and formula a little at a time. Have extra clothing for the baby as well as for each member of your family. Make sure you have baby medicine in case of a fever, too. Store toiletries as well. You’ll want shampoo, deodorant, razors, soap, toothpaste, toothbrushes, and toilet paper. Those would be necessities but you can also store luxury items as well, such as lotions and facial cleansers. Having a first aid kit ready and set aside is important. Make sure the kit has plenty of waterproof bandages, including wound dressings. You’ll want antibiotic ointment, alcohol wipes, and Calamine lotion. Pack insect repellent, scissors, ibuprofen, aspirin and burn cream. Add to the kit scissors, a surgical field pack, safety pins, wraps for sprains, tweezers and a magnifying glass. Don’t forget to pack waterproof matches, blankets, and sleeping bags. 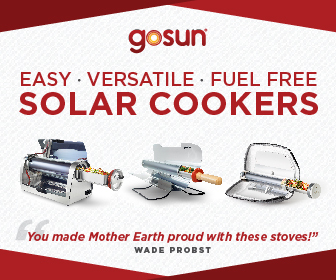 Have the lighting you need, too – such as flashlights like the solar powered ones, candles and kerosene lamps. An emergency solar radio can help keep you up to date on the latest cleanup and restoration efforts going on in your area after a disaster, so have one on hand. You might want to also invest in a solar powered charging station for your cell phones. What you can do is every time you go to the grocery store, set aside a certain amount of money that’s earmarked for emergency events. Use that money to stock up only on things you need from your preparedness list. Spending even a small amount will help you be prepared. Even if all you manage to stock up for is a couple of weeks – over time, you’ll still be better off than you would be if you hadn’t taken those steps. Preparing to survive through a disaster doesn’t have to be an exercise in gloom and doom – you can get everyone in the family involved.